Keep your lawn healthy year-round by taking care of some fall lawn maintenance. If you want to keep your lawn looking thick, green, and healthy during the spring, experts agree that giving it good care during the fall is the best way to do this. However, many homeowners make the same mistakes before the lawn goes dormant and wonder why their grass doesn’t improve. As a wise man once said, one definition of insanity is doing the same thing and expecting different results! So let’s get your lawn prepared to look great next spring with some helpful pointers for things to do right now in the fall. As we have discussed before, removing your leaves is essential to keeping your lawn healthy. They block light and trap moisture which is not good for promoting your lawn’s health and will lead to a dead lawn if not taken care of. Make sure you keep up with removing the leaves as they fall until your trees are bare. Grass continues to grow until the first hard freeze, so you’ll want to keep up with the mowing. Continue cutting your lawn to keep it at the ideal height of around 2.5 to 3 inches. If you cut it too short, you’ll curtail the root system and bring down the grass’ defenses to the winter cold and dryness. Letting it get too long will make it vulnerable to fungi such as snow mold. In addition, mowing your lawn will also cut down leaves and leave it behind as a mulch, which can enhance your soil. You might think that the cooler and wetter fall weather may eliminate the need for watering your lawn during the next few months. 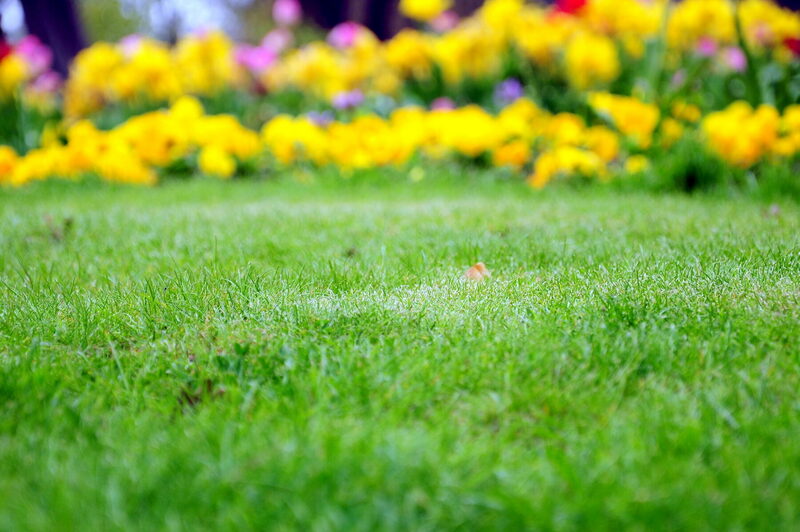 While it’s true that the change in the seasons will help you, the truth is that it may still not be enough to promote a healthy lawn. Use a rain gauge to check how much water your lawn is getting. If it’s not getting at least an inch a week, keep your sprinklers or irrigation system running until the end of October. Then have everything disconnected and flushed to avoid frozen pipes. This entry was posted on Wednesday, October 19th, 2016	at 7:28 pm	and is filed under Lawn Maintenance Service, Lawn Tips	. You can follow any responses to this entry through the RSS 2.0	feed. Both comments and pings are currently closed.